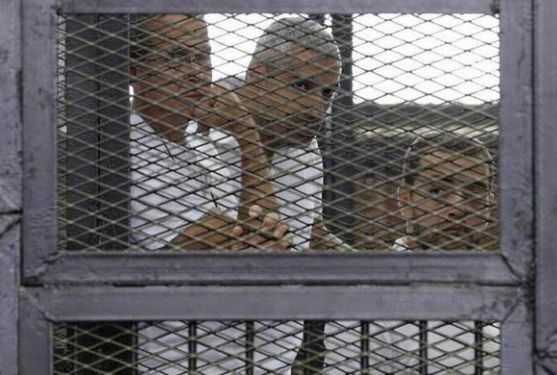 The verdict in a retrial was issued against Mohamed Fahmy, a naturalized Canadian who has given up his Egyptian citizenship, Baher Mohamed, an Egyptian, and Australian Peter Greste, who was deported in February and sentenced in absentia. Egyptian judge Hassan Farid said he issued his ruling because the three weren't registered with the country's journalist syndicate. He also added that the journalists brought equipment without the approval of security officials into Egypt, as well as spread 'false news' and used a hotel as a broadcasting point without permission.